So many great sales are going on right now but one that can not be missed is the Tory Burch Friends and Fan Sale! You get 25% off with code FRIENDLIEST. 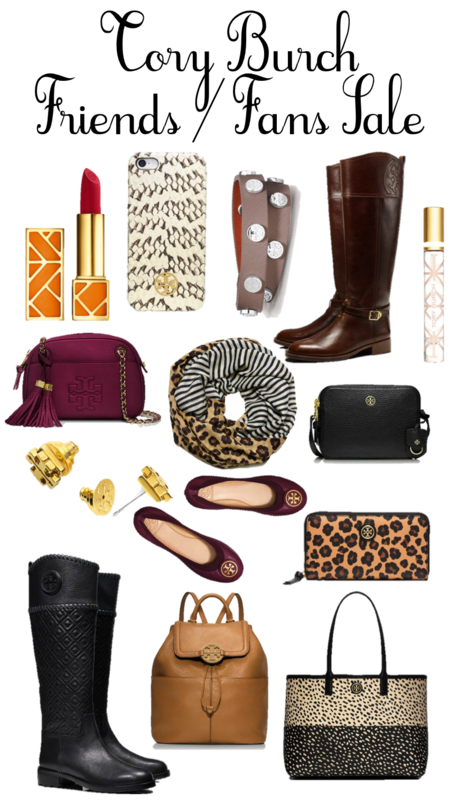 This is the perfect time to stock up on some fall favorites, here are mine! Is it bad that I'm in love with everything that you've posted here? Love your finds! The boots are definitely a must have for fall! I have most everything in this picture, that can't be a good sign.... One thing I did buy during this awesome sale was a pink Robinson card case! I only shop TB during these sales, so this surprise sale was amazing!!! The knowledge attained is not considered or tested by many of these employers. Kiosk type pictures on a cash-register computer is what they have to work with.essaywarriors.com college paper writing service is really very high quality writing service providers with on time delivery. Cheap Kate Spade Handbags Sale Kate Spade Outlet Store University, do as I say, if I did not come back after three days, you go to my office, open the safe, Cheap Kate Spade Handbags Sale which stood Cheap Kate Spade Satchel Bags the parcel, then turn off the bar, find a place to hide. Cheap, you escape it, you simply Cheap Kate Spade Handbags Sale go to die. Yes, you can go abroad ah, or retreat to the deep forests. Tianmen people should not be so pursued it. cheap read many novels, usually hidden world of heroes exit the arena went to the Cheap Kate Spade Handbags Sale deep forests. I was also hunted for seven years, unless I went to the moon, or is indefinite kill. Kate Spade Handbags Outlet Cheap eyes revealed the despair and sorrow, it is a man dying in the face of fear is no way the case Cheap Kate Spade Handbags Sale was exposed to the tragedy.